Grace your tables with cute paint party favors that you fill with little sweets. 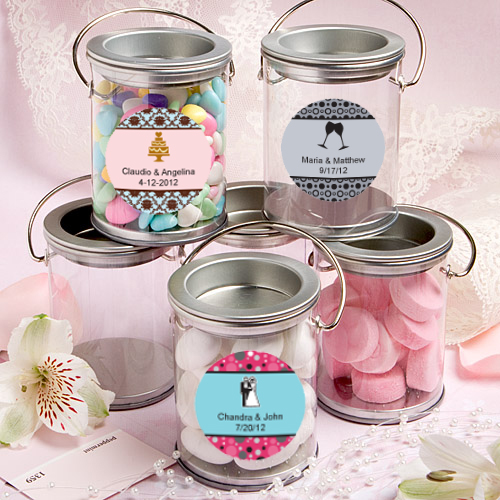 Each of these party or wedding containers comes with a sheet of custom stickers. Match your wedding colors by creating your own design on them. Add colorful candy and your guest gifts add to the table decorations.